Affected by Sunday’s recall are 4,459 model year 2013 Dodge Challenger performance vehicles equipped with V6 engines over an electrical issue that may lead to a fire. Specifically, certain wire harnesses may short circuit, which may cause overheating and/or a fire. Of the nearly 4,500 vehicles, roughly 2,500 are in the possession of owners, while the rest are on dealers’ lots. The recall does not include Dodge Challengers equipped with V8 engines. 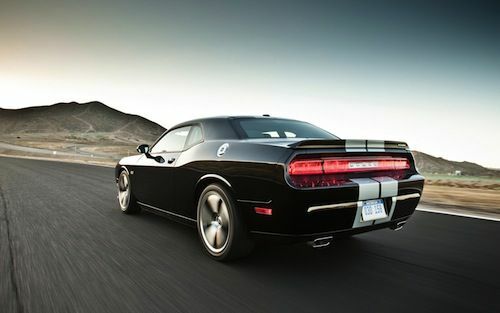 The affected 2013 Dodge Challengers were assembled during an eight-week period that ended January 24, 2013. According to spokesman Eric Mayne, the defect is the result of a single batch of misconfigured electrical components and not necessarily the wiring harness specifically. Chrysler has yet to identify the particular part, but did indicate that certain wire harnesses caught fire when workers attempting to reconfigure the parts. So far there have been seven incidents of the problem, but no injuries. Due to the severity of the recall, Chrysler is currently reaching out to Dodge Challenger owners by phone and mail to tell them not to drive their cars until the problem is remedied. Furthermore, Chrysler is urging owners not to park their cars in garages or near other structures in case they catch on fire. The automaker will provide owners with loaner cars, free of charge, while repairs are being completed. In the meantime, owners may contact Chrysler at 1-800-247-9753. Concerned drivers may also contact the National Highway Traffic Safety Administration’s Vehicle Safety Hotline at 1-888-327-4236 or online at www.safercar.gov. Chrysler issued another fire-related recall last month when it recalled 1,785 model year 2013 Chrysler 200 and Dodge Avenger vehicles over a potential fuel tank problem. According to the NHTSA, affected cars may contain a broken control valve in the fuel tank assembly, which may lead to engine stall and/or fuel leakage. Consequently, an engine stall could lead to a crash, and fuel leakage may cause a fire. Aside from fire-related recalls, Chrysler also recalled 360,000 SUVs and pickups in the US to fix a rear axle problem earlier this year. Affected vehicles may contain faulty rear axle pinion nuts that may loosen due to a missing adhesive patch. As a result, the axle may lock up and cause loss of vehicle control. The February recall concerns 2009 Dodge Durango and Chrysler Aspen SUVs, 2009 to 2011 Dodge Dakota and 2009 to 2012 Dodge Ram 1500 pickup trucks.